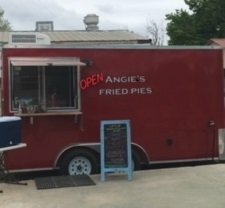 Join us to welcome Angie’s Fried Pies to Wimberley. Located at Odie’s Place, 411 FM 2325. Owner Angie Henderson is serving homemade fried pies, both savory and sweet. These pies are soft, flaky, and delicious, made with her Grandmother’s handed down pie crust recipe.